Obligatory Petraeus punning from the New York Post following the CIA director’s admission of an extramarital affair. 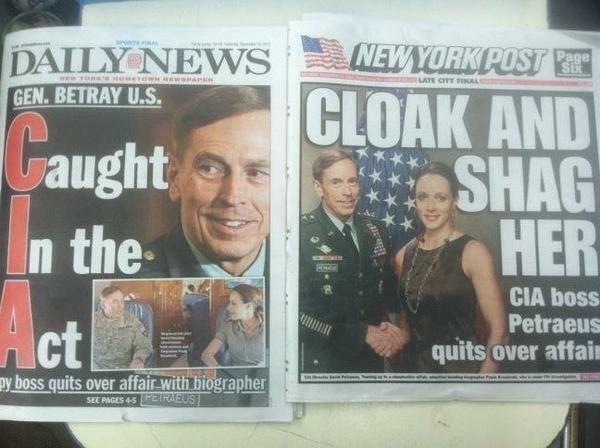 The NY Post's cover line on the Petraeus affair is "Cloak and Shag Her." I bet they've been sitting on that one since the 60s. The Daily News also got in on the action, but there’s really no competing with the Post. Sorry, Daily News, the New York Post wins this round.